Hope you all are familiar with the term VPS (Virtual Private Server). However, a lot of people are confused about the idea behind VPS. 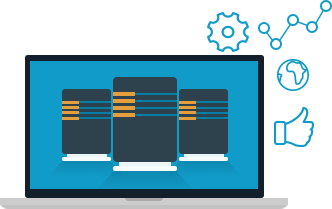 Let’s simply say, VPS is a hosting solution that stands between Shared and dedicated hosting. A physical server is divided into a small number of fully independent virtual servers, providing the features and also resources of a dedicated server at a low cost. Hope this article will help you to know more about Virtual Private Server. Apache becomes a very big headache if it is not configured properly. There are various settings, such as KeepAlive, MaxClients, StartServers, etc that can be used to provide a better performing server. Always keep your MySQL version updated. Because the older versions no longer receive security updates. Older versions will spoil your website’s performance. Updating MySQL requires some technical knowledge. Hence, if you are not a technical person take the help from your hosting provider. They will take care of it. Aspiration Hosting is one of the top web hosting companies. We provide 24/7 topnotch technical support. Another way to optimize your VPS is caching your content. Caching the content to RAM improves the speed of processes and also reduces the latency. A lot of caching software is available to cache your data. Content optimization is an important factor for your server performance. A lot of free online tools that can analyze your website. These tools will also suggest you how you can improve your both front end website configurations and back end server settings. Content Delivery Networks will reduce the distance between your visitors and server. CDN allows faster content delivery and also better performance. Aspiration Hosting comes up with our in-house Aspiration CDN relies on a global network of high-performance CDN PoPs with over 50+ cities across six continents for faster page loading times, higher conversion rates and also a higher Google ranking. With the few simple steps stated above, you can easily optimize your VPS. Still, having doubts? Don’t worry. Reach us to know more. We are always happy to help you. You can reach us at any time. Let’s talk about your future.